So its a new year again and everyone’s talking about their New Year’s resolutions and new beginnings, while I’m here thinking about how much things have changed through the course of 2016. For starters, I’m not even in the same country anymore! I don’t even write the date the same way or drive on the same side of the road! My daily routine’s nothing like that I had in Hyderabad. I no longer have full fledged meals by mom just ready to be eaten, rather there are numerous days when meals have been skipped, or substituted with fruits or granola bars. A girl who never set foot in the kitchen now spends most of her time there. Back in my college at Hyderabad, you’d mostly find me at the basketball court. Here at San Jose State, you’d most probably find me at the library! My daily walks with Aero turned into walks to the grocery store. Weekends back then meant going out, having fun, eating the best food at the best restaurants. Now, weekends mean going over to Aunt’s place (if lucky to have a free weekend) and relishing that yum homemade food. Shopping back then was fun and meant coming home with whatever you liked. Shopping now is a major guilt trip, which ends in questioning yourself whether you really need that cute dress (You probably don’t) and you end up leaving it at the trial room racks. So what I want to say is I’ve become a completely different person in just one year, and that’s OK. Cause now, instead of one mom I have like five aunts here in Bay Area asking if I’m eating on time. Instead of two brothers, I now have three, ready to go out for ice cream or french fries and still keeping you on track. Instead of one sister, I have three roommates who keep giving me a reality check and are always up for some fun! Though my friends back at home are halfway across the globe, they are still up to date with my life here and there’s always tons more to talk bout! And now there’s a whole new set of friends here at San Jose too, who make life here much better. Change can be great. 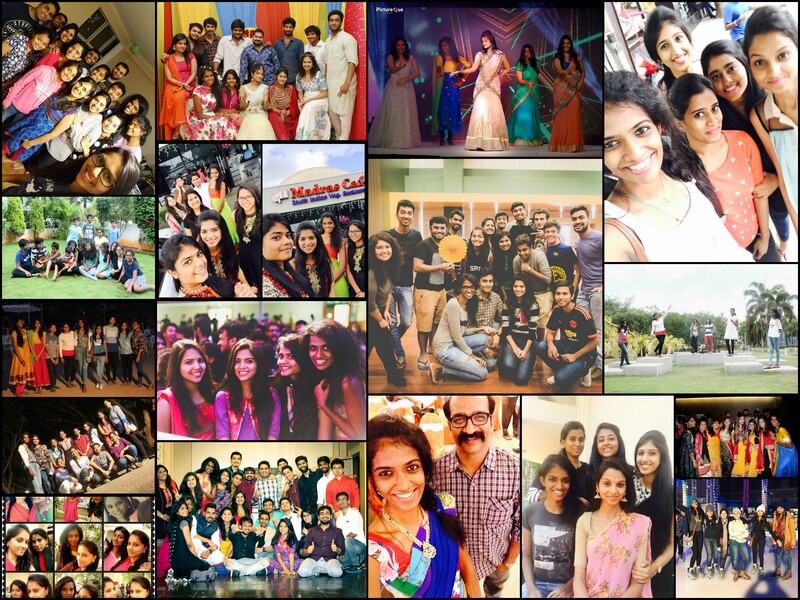 As much as I miss my people, as much as I miss Hyderabad and home, as much as i miss the 2016-carefree-me, I’m proud of my 2017-independent-self, happy that I can call San Jose home, and waiting for what this year has got for me. The truth is, there’s no turning back now. So bring it on 2017! I see a more mature, independent, more fun loving Spurthi. Luv what you wrote. I am confident that you will grow from strength to strength learning from every experience that comes yr way.